Prenatal and pediatric chiropractor Sarah Peddie Sorrentino, DC, treats women, infants, and children of all ages at Grayhawk Family Chiropractic, LLC in Scottsdale, Arizona. Dr. Sarah has trained with the International Chiropractic Pediatric Association (ICPA) and is a certified provider of the Webster technique for prenatal care. If you’re a parent, caregiver, or expecting mother looking for safe and gentle chiropractic care, call the office or schedule an appointment online today. Many of the spinal problems adults suffer from begin as early as birth. Even the birthing process itself can put stress on an infant’s spine and developing nervous system, leading to common newborn health complaints such as colic. Today, more and more people seek chiropractic care for their children to relieve these problems and prevent them from worsening. In addition to being a mother herself, Dr. Sarah is professionally trained in pediatric chiropractic care. At Grayhawk Family Chiropractic, Dr. Sarah utilizes gentle non-force techniques to treat infants and children of all ages. As your child grows and begins to crawl and walk, it’s important to bring them to Grayhawk Family Chiropractic to ensure they have healthy spinal alignment. Even small misalignments can cause serious problems later in life, especially around the time of your child’s growth spurt. Additionally, children tend to fall and injure themselves as they discover new ways to use their bodies. Without proper care, these injuries may not heal correctly and lead to pain or alignment issues later in life. 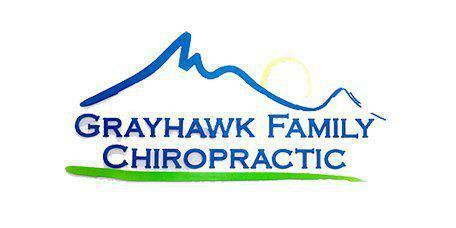 Any interference with your child’s spine or nervous system prevents them from optimal functioning. Regular chiropractic checkups help identify and treat minor injuries before they grow into a serious problem. Not only is it safe to receive chiropractic treatments while you’re pregnant, but it’s also an essential part of your prenatal care strategy. Many women experience back and joint pain during pregnancy due to the rapid growth of their developing baby. Pregnancy can amplify pre-existing imbalances in your spine and pelvis that may have previously gone unnoticed. This can lead to discomfort and difficulty when performing regular daily activities. Correcting these imbalances with chiropractic care increases your comfort throughout pregnancy and can reduce your risk of a difficult labor when the big day comes. 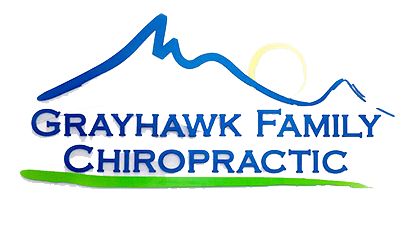 For prenatal and pediatric chiropractic care from a highly trained provider, call Grayhawk Family Chiropractic, LLC or schedule an appointment online today.